toto je moja ďaľšia strana, ktorá bude v novej La Femme. Táto sa mi doposiaľ páči asi najviac, len dúfam, že to aj pekne vytlačia! Držte palce! I'm back again. Budapest is incredible! Lovely people, bikes everywhere, very cheap, the best cakes..I'm in love and want to go back again..I think I'm crazy, I like it everywhere! Since it was a work trip, I didn't have much free time but I will add some pictures later, especially from Gellert bath which is stunning. 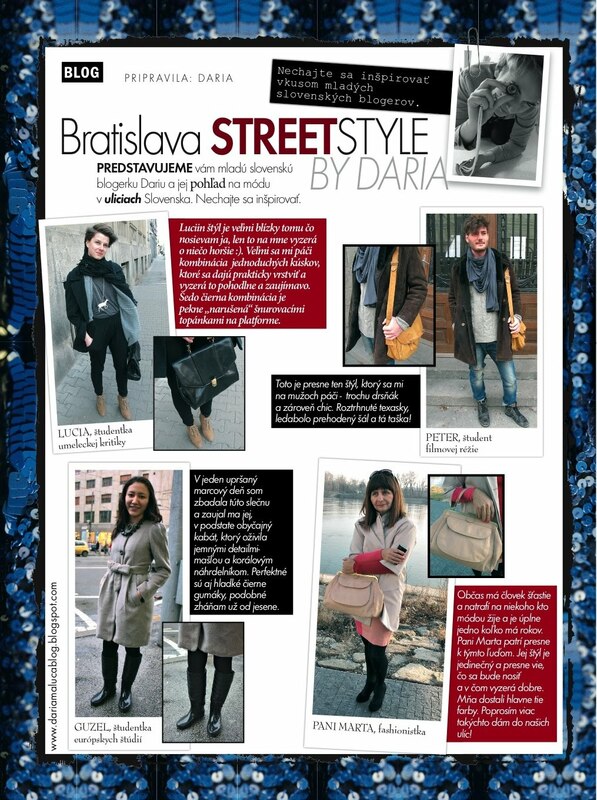 This is my page in new La Femme (Slovak magazine). I think this one is better than the older ones, so hopefully they will print it correctly too. to je skvele, ze mas takhle prostor v casopise! ale delas to vyborne!!!! super ! daria pekne to je ! quіck query: how many visitoгs do you get to your web sіte please?